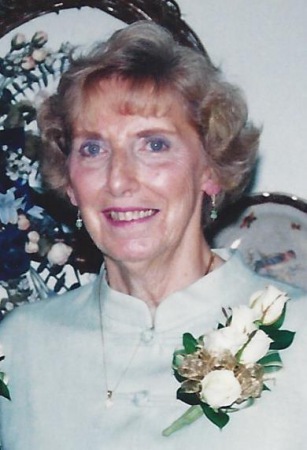 Dolores Gibson (nee Franc) age 89, Beloved wife of the late William Gibson II for 65 years. Loving mother of Bill (Debbie), Jeff (deceased), Chris (Ralph) and Todd (Jackie). Dear grandmother of William and Elizabeth (Chip). Great-grandmother of Anna, Jonathan, Will, Ellie, Eddie, Molly and Penny. Beloved sister of Albert Franc Jr. "Patty", Bev Magliocco, E. Keith Franc and Karen Franc Anderson. Aunt to many nieces and nephews. Memorial Service to be held Thursday June 28, 2018 at 3:00 pm at Bay Presbyterian Church, 25415 Lake Road, Bay Village, 44140. In lieu of flowers, memorial contributions may be made to Bay Presbyterian Church.